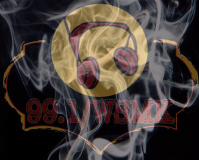 According to Michiguide.com and Wikipedia, WSMK 99.1 FM has offered various flavors of rhythmic formats since its inception. Reviewing the station’s past Websites via archive.org, it appears that the station has generally had an Urban lean over the years. However, for a period in 1997, it began playing Dance music – including a nearly all-Dance playlist at night, positioned as “Fox After Dark”, as heard on this aircheck.